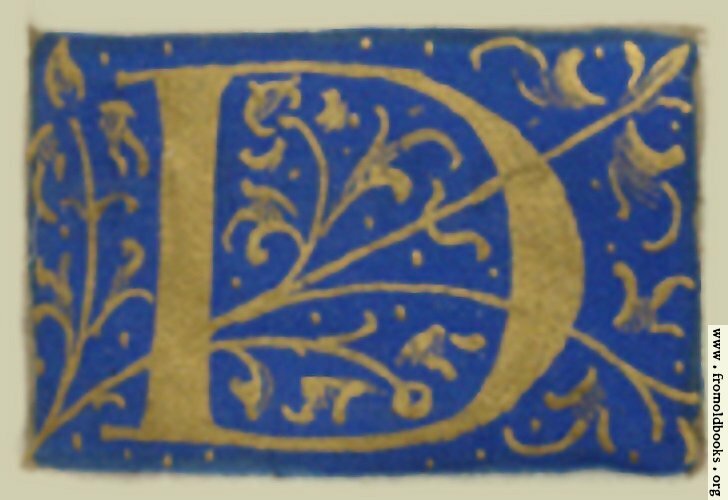 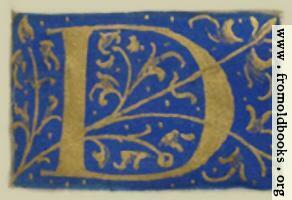 The letter D painted in blue and gold used as a decorative initial. 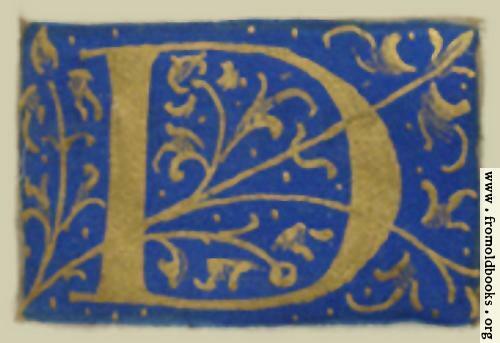 More precisely there’s gold leaf on a blue background. 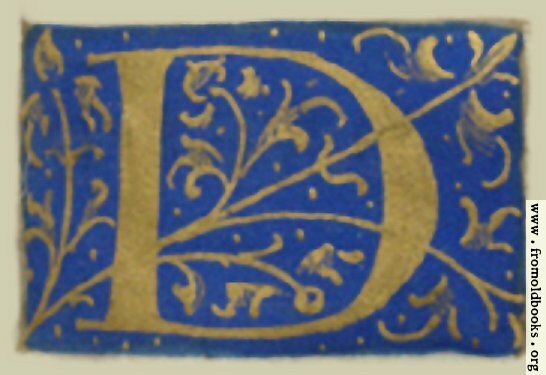 This image was on image 22 of the Library of Congress page images.